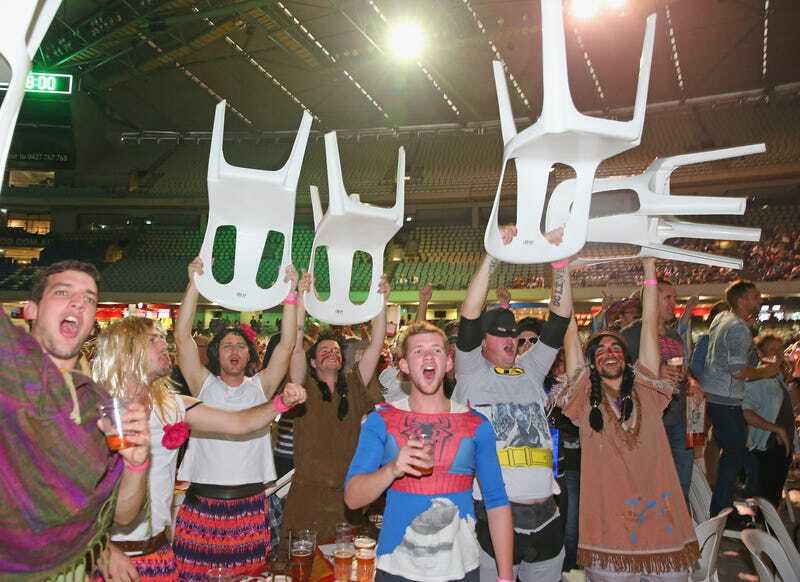 The Darts Invitational Challenge in Melbourne, Australia yesterday was interrupted by costumed, drunken fans throwing hundreds of plastic chairs in the seating area. The match between–I kid you not with these nicknames–top-ranked Michael "Might Mike" van Gerwen and home favorite Simon "The Wizard" Whitlock had to be paused as security and later police attempted to get a handle on the situation. Here are some pictures from what looked to be a phenomenally bizarre event.